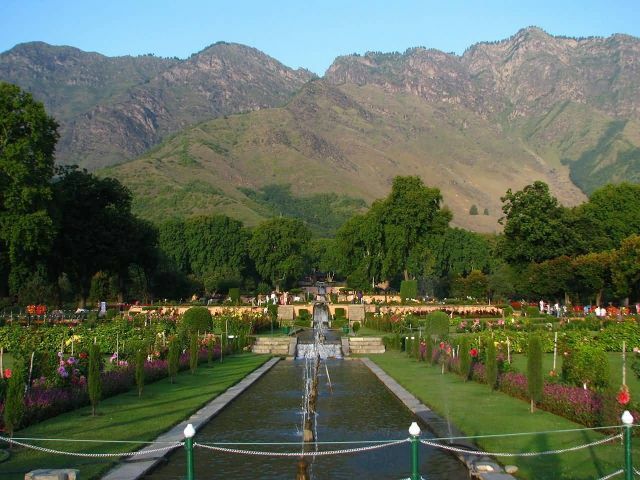 It is the second largest Mughal garden in the Kashmir Valley. âNishat Bagh’ is Urdu, which means “Garden of Joy,” “Garden of Gladness” and “Garden of Delight.” It is located on the bank of the Dal Lake with the Zabarwan Mountains as its backdrop. Nishat Bagh located in the Srinagar District is 11 kilometres from the city centre.